4 bowls- 6 in. diam., 1 large bowl-10 in. 21h in. high, and a service fork and spoon. 8-piece Cake Set. Includes 4 plates (8\4 in. 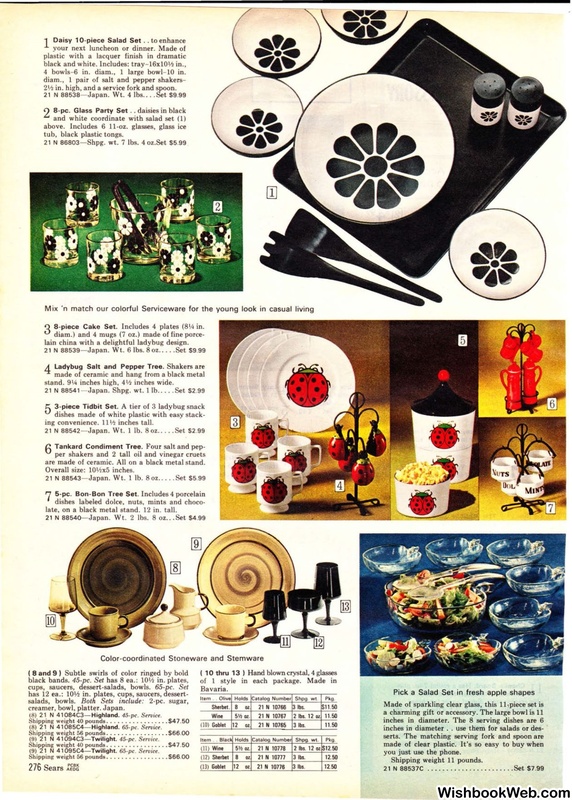 lain china with a delightful ladybug design. 4 inches high, 41h inches wide. ing convenience. ll'h inches tall. are made of ceramic. All on a black metal stand. late, on a black metal stand. 12 in. tall. 21 N 10777 3 lbs. 21 N 10776 3 lbs. you just use the phone.